Air Heaters Air Top There are 4 products. 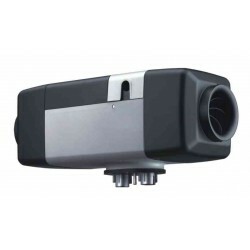 Air Top 2000 ST - Autonomous air heater of interior, suitable for use in vans, truck cabs with sleeping place, for special equipment, for campers and small boats. Power up to 2kW allows heat the area up to 12m3. The power of the air heater Webasto Air Top Evo 40 reaches 3.9 kW per hour, that is enough to warm up a medium-sized bus area or cargo area of small truck. With such a large capacity, heater has small size and does not take up much space in the passenger compartment of the vehicle. 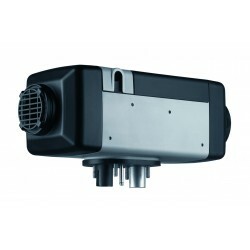 Autonomous air heaters Webasto Air Top Evo is a new line of Webasto air heaters. They have a wide range of application: in cars, special equipment, water and air transport. They work on gasoline and diesel fuel. They can take fuel from the vehicle's tank, and from the independent tank. Devices are mostly placed in the heated area, and the combustion air is supplied from the outside, the exhaust is also output outside. In new models the function of automatic start in forced mode is included in the basic package. Cab heaters Air Top very in the heat output, that allows you to choose a suitable heater for your particular area.